Presence and self-knowledge are important ingredients in good leadership and a rich life. As part of our efforts to develop the different aspects of leadership, we now want to offer you a place for this workshop series. 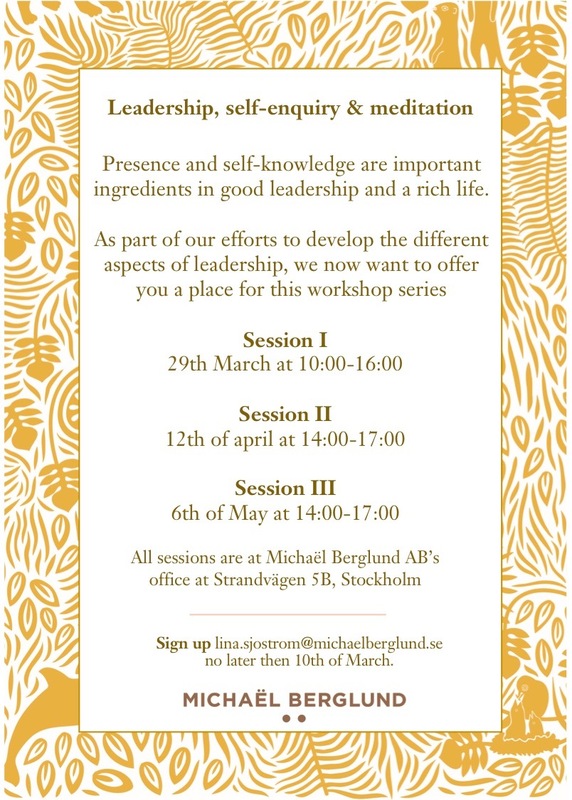 All sessions are at Michaël Berglund AB’s office at Strandvägen 5B, Stockholm.